Here’s the latest press release and assets for Injustice: Gods Among Us, scheduled for release on April 16th in the US and April 19th in Europe. 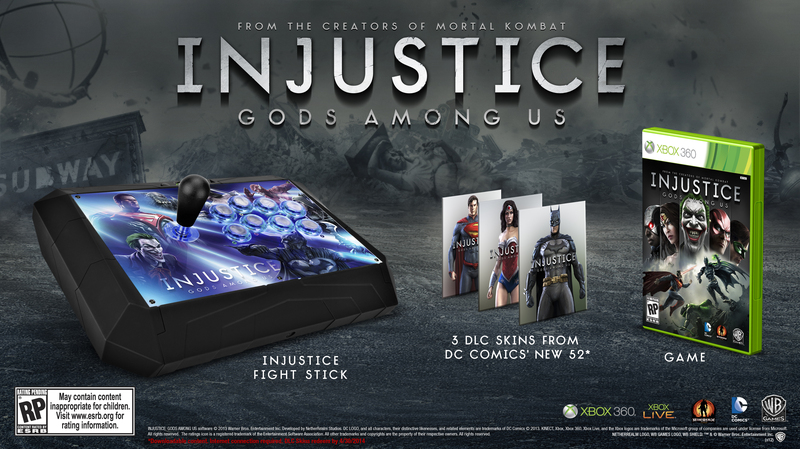 Warner Bros. Interactive Entertainment and DC Entertainment today revealed details for the Injustice: Gods Among Us Battle Edition. The package will be available in limited quantities at Gamestop and EB Games stores located in the United States and Canada for Xbox 360® video game and entertainment system from Microsoft and PlayStation®3 computer entertainment system. 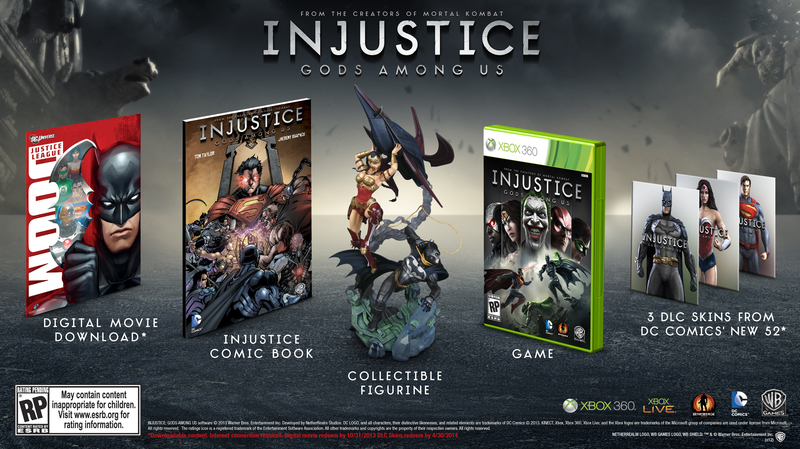 Injustice: Gods Among Us Battle Edition is also confirmed to be available in North America beginning April 16 for Xbox 360, PS3 and the Wii U™ system from Nintendo. 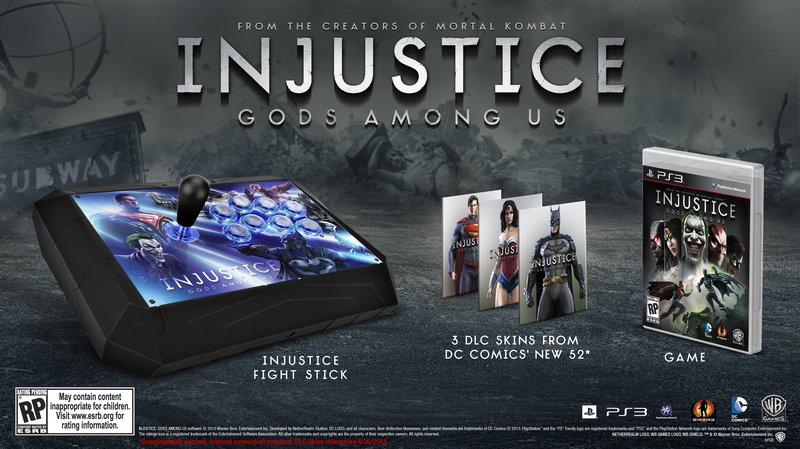 The Injustice: Gods Among Us Battle Edition will retail for $149.99 and includes the game disc, exclusive Injustice: Gods Among Us Fight Stick featuring official artwork from the game and three exclusive skins based on Batman, Superman and Wonder Woman from DC COMICS – THE NEW 52. The Fight Stick is a light weight controller that boasts a non-skid foam underside, a lockout feature for the Start, Select and Guide buttons, as well as adjustable illumination for the buttons and joystick. 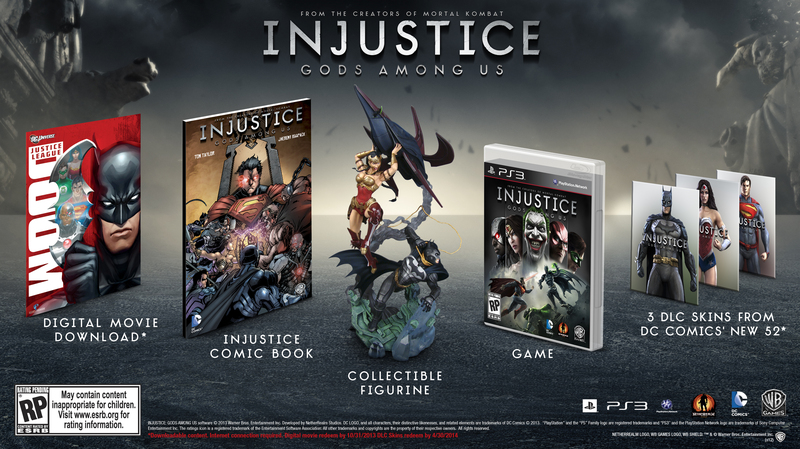 Accompanying the news is an image featuring all the contents of the Injustice: Gods Among Us Battle Edition, as well as a new image showcasing the contents of the Injustice: Gods Among Us Collector’s Edition, which will be sold separately for $99.99 at various retailers throughout North America for the Xbox 360 and PS3. 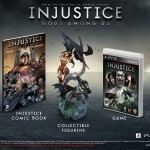 Also available today is the new Injustice: Gods Among Us digital comic book from DC Entertainment. The comic is a prequel to the game, and it tells the story of events leading up to a new world order where heroes face each other in an epic fight to determine humanity’s future. A new chapter of the weekly comic will be released every Tuesday for $.99, and three digital chapters will then be collected in print and available for sale monthly. Download Injustice Gods Among Us #1 today at ReadDCEntertainment.com, through the DC Comics app, or on the iBookstore, Kindle Store or Nook Store. Injustice: Gods Among Us is an all-new game in development by award-winning NetherRealm Studios, creators of the definitive fighting game franchise Mortal Kombat. The title debuts a bold new fighting game franchise that introduces a deep, original story featuring a large cast of favorite DC Comics icons such as Batman, Green Arrow, Cyborg, Harley Quinn, Nightwing, Solomon Grundy, Superman, The Flash, Wonder Woman, The Joker, and many others. Set in a world where the lines between good and evil are blurred, players will experience heroes and villains engaging in epic battles on a massive scale. 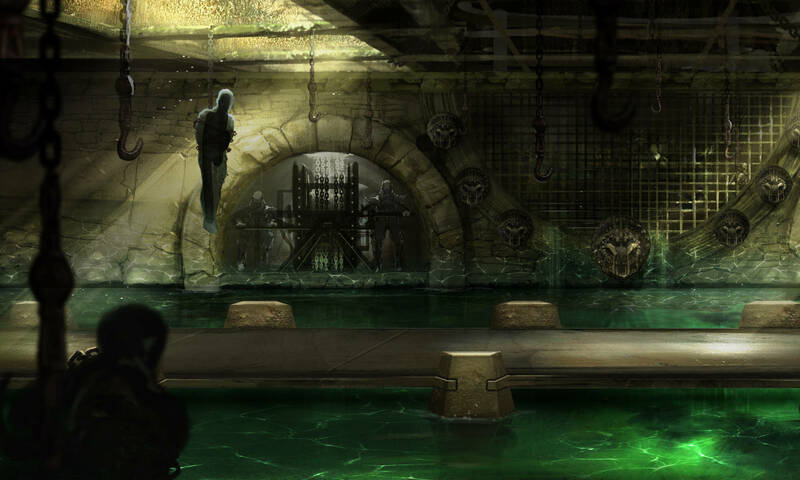 For more information on the game, visit www.injustice.com. 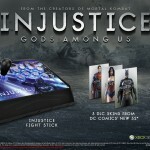 Ed Boon was at EVO over the weekend to give the crowd a special presentation of Injustice: Gods Among Us. 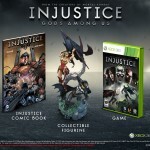 Another E3 has come and gone, and the overall reception for Injustice: Gods Among Us seems to be pretty positive. Everything we know about the game at this point is still being regurgitated by media outlets, but here’s a few new bits from today. Newsarama’s Lucas Siegel talks with the game’s Lead Designer, John Edwards. The PlayStation YouTube channel has uploaded an interview with the game’s Senior Producer, Adam Urbano. Some new gameplay footage is shown. TRMK contributing editor Scott Ellison II sat down with the game’s Senior Producer, Adam Urbano, to discuss some of the game’s technical features.